For a long time gambling in Chile was very restrictive, although this opened up in the 1990s and 2000s with all forms of gambling including sports betting being made legal. The Republic of Chile can be found running along the south west of South America, between the Andes Mountains and Pacific Ocean. While it has been an independent state since the early 1800s it fell under the murderous military dictatorship of General Pinochet from 1973 until 1990. After the regime ended Chile has gone on to embrace democracy, and has since built a prosperous tourist industry and stable economy. This guide to online sports betting in Chile starts with background on how the industry developed in the country. Then the online market is looked at along with the taxes you will be liable to pay on winnings. After this you can see how accessible the sites are for Chilean customers before concluding with thoughts to the future of the online sports betting in Chile. Before 1990 the only gambling permitted in Chile was betting on horse races. This was done primarily as pari-mutuel betting on track, which is still possible at all five tracks  and at dog racing meetings too. While this satisfied a large number of Chilean sports-bettors and still proves very popular today, other betting markets, such as football were conducted illegally. The first legal sports betting came in 2008 when the lottery operator Polla Chilena sought permission to offer fixed odds betting. Through a deal with gambling technology provider GTech, Polla Chilena was able to install over 2000 betting terminals throughout Chile , providing odds on a wide number of sporting events. 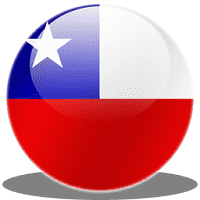 Polla Chilena remains the only land based sports betting operator in Chile. 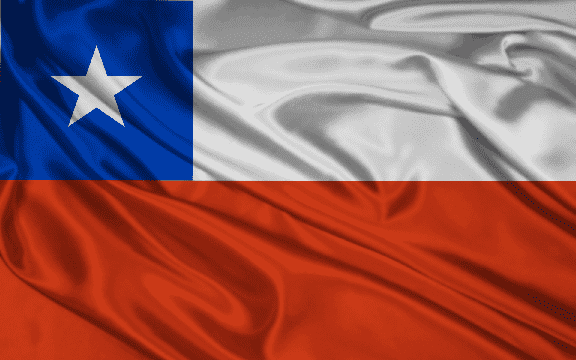 Strictly speaking all forms of online gambling in Chile is illegal, although there has been no effort made to prevent offshore providers or prevent citizens using these sites. It was estimated in 2011 that all online gambling in Chile is worth in the region $600 million . As the use of smart phones and broadband connections continued to increase in the country, the government began to look at Europe’s markets, particularly the ring-fenced markets of France and Spain, for ideas of how to develop their own . Polla Chilena requested the ability to compete online, which was granted as the country is believed to start focusing on domestic companies. While this may be the case in the future Chileans have the opportunity to use the many large sports books companies licensed in Europe and the Caribbean. These give Chilean sports bettors a great choice of events to pick from, along with some very competitive prices. Many sportsbooks also offer some great value bonuses and free bet offers. Key points to remember are with so many operators to choose from it only use reputable and popular companies, and check the terms and conditions of any bonus offers before depositing. All gambling winnings in Chile are free of tax, meaning sports bettors do not have to give up any of their winnings to the state. There are a large number of online sites providing Spanish language sportsbooks although not that many offer bets in pesos. As a result you will often find you have to convert your funds into US dollars or Euros. This is no problem and the vast majority of sites will do this for you when you deposit and withdraw. Unfortunately you may lose out because of money exchanges if you find yourself frequently moving money between sites. One way to help this is to use an e-wallet like NETeller of Skrill. These online payment processors can exchange your funds and hold them in whatever currency you wish, then deposit and withdraw from sites very quickly at low charges. That way you only need to make one deposit at a time online cutting down the number of times you have to convert funds. Of course other popular methods to deposit and withdraw are also available like credit card transactions through companies like Visa or MasterCard and prepaid options you can purchase locally. Normally you can withdraw via the same means in which you deposit, however when this is not permitted you can normally arrange a check or bank transfer. While there is no denying the Chilean government would like to get hold of tax revenues generated by gambling, there appears to be little activity to do so. This could just because such matters take a long time or it could be due to a large drop off in many of the global gambling markets. Both Spain and France, which Chile was watching, have suffered a drop off in revenue as the financial crisis has taken hold of people pockets. In addition, it has appeared very hard to block “illegal” sites so whether or not Chile deems it to be worthwhile remains to be seen. In the meantime Chilean sports bettors are free to use a wide choice of sites if they wish to.